The only way to prevent a deepening recession will be a temporary program of increased government spending. Marty thinks the tax rebates earlier this year did not do much to stimulate consumer spending. I think Marty is too quick in reaching this conclusion: Other scholars who have seriously analyzed the data disagree. If there is going to be another fiscal stimulus, there will likely be a division between those who want tax rebates to households and those who want to help states pay for extra infrastructure spending. I have a compromise, based on the grand U.S. tradition of federalism: Let each state decide. Congress could pass a fiscal stimulus of a certain amount per person but offer two ways to have it paid out. Each state governor could be allowed to determine whether to take the money as state aid or have it paid directly to his or her state's citizens. Those governors who think they have valuable infrastructure projects ready to go would take the money. Those who do not would let their citizens take the extra cash. When designing a fiscal stimulus, there is no compelling reason for one size fits all. Let each governor make a choice and answer to his or her state voters. Says NYU economist Nouriel Roubini. we propose legislation that moves the reworking function from the paralyzed master servicers and transfers it to community-based, government-appointed trustees. These trustees would be given no information about which securities are derived from which mortgages, or how those securities would be affected by the reworking and foreclosure decisions they make. Instead of worrying about which securities might be harmed, the blind trustees would consider, loan by loan, whether a reworking would bring in more money than a foreclosure. The government expense would be limited to paying for the trustees — no small amount of money, but much cheaper than first paying off the security holders by buying out the loans, which would then have to be reworked anyway. Our plan would also be far more efficient than having judges attempt this role. The trustees would be hired from the ranks of community bankers, and thus have the expertise the judiciary lacks. A Panel Discussion of the Presidential Candidates' Economic Policies. Wednesday, Oct 29, 4 to 5:30 pm. A reception, policy discussion and lunch was offered in Newark, N.J., with David Cutler, Obama for America’s senior health-care adviser, for $500 for a guest or $2,300 for a V.I.P. And you don't even have to travel to Newark! Update: The Crimson reports on the event. For example, a homeowner unable to support payments on a house purchased for $200,000 that today is worth only $150,000 might be offered a write-down of up to $50,000. But this would not be a free lunch. With the SAM, once the value began appreciating above $150,000, the mortgage holders would be due their share. The details of the write down and the appreciation sharing could be tailored to different circumstances. But one way to give lenders a share of the upside would be to pay back some of the write down if the house is later sold. This is like Zingales's Plan B. Would a law giving homeowners the right to write down their mortgages in exchange for equity attract so many homeowners that financial institutions would suffer even bigger hits than they already have? As these authors note, foreclosure is unpleasant for everyone. But because it is so unpleasant, some homeowners who are underwater on their mortgages keep paying them anyway. If we give them a better alternative, why would they? If Congress were to pass a law allowing homeowners to rewrite their mortgage contracts, and lenders suffered losses as a result, what would the constitutional implications be? The fifth amendment says "nor shall private property be taken for public use, without just compensation." Could lenders get "just compensation" for losses that resulted because Congress crammed down an equity-for-debt swap? If so, would this be the best use of taxpayer funds? The offer would come from the lender (not borrower) in cases in which there is a stop in payment on the mortgage. Offering this on top of a standard write-down is an option that is currently not in their arsenal, a fact that many of them are not aware of (essentially ruled out by the tax code). One offers incentives for the writedown e.g. by exempting the shared appreciation strip from capital gains taxes. This is then part of the workout routine that would be far more attractive than a pure write-down, and often superior to enforcing default. Suppose someone stops payment on their mortgage without needing to just because this offer is potentially open. They can be offered some powerful discouragement: (a) Increasing share of appreciation with increasing write down; (b) Give lenders ability to check income. There would then be a high % dedicated to the loan (you won't want this if you are doing fine or expect to recover income); potentially, have payments on the mortgage rise with income if one needs to work this angle harder. The complete incentive system could be designed in a dynamic manner, adjusting as evidence of excessive use came to light. This would be voluntary negotiation. The idea would be to set up the incentives for it in the tax code. It simply dominates current options in most circumstances. McCain has voted 88% of the time against bills creating trade barriers, and 90% of the time against export subsidies for US producers. Few other senators have such a splendid record. In 2007, he voted to reduce visas issued to foreign workers (such as Indian software engineers), and to ban Mexican trucks on US roads. He sometimes voted for free trade - he supported the Oman Free Trade Act and a bill on miscellaneous tariff reductions and trade preference extensions. More often he voted for protectionist measures including 100% scanning of imported containers (which would make imports slower and costlier), and emergency farm spending. In 2005 he voted to impose sanctions on China for currency manipulation, and against the Central American Free Trade Agreement (CAFTA). He voted for the Byrd amendment, a disgraceful bill (later struck down by the WTO) that gifted anti-dumping duties to US producers who complained, thus making complaining more profitable than competitive production. By contrast, McCain has consistently voted for open trade. He has opposed federal curbs as well as private curbs on outsourcing to countries like India. He opposed the disgraceful Byrd amendment on anti-dumping duties. He voted against farm subsidies and labour standards for imports (which are not necessarily bad but could become a disguised form of protectionism). Unlike Obama, McCain voted against imposing trade sanctions on China for supposedly undervaluing its currency to keep exports booming and accumulate large forex reserves. India has followed a similar policy, though with less export success than China. But if indeed India achieves big success in the future, it could be similarly targeted by US legislators and, will need people like McCain to resist. Obama also favours subsidies for converting maize to ethanol. The massive diversion of maize from food to ethanol has sent global food and fertiliser prices skyrocketing, hitting countries like India. But McCain has always opposed subsidies for both US agriculture and ethanol. While campaigning, he had the courage to oppose such subsidies even in Iowa, an agricultural state he badly needs to win if he is to become president. If any of my economist friends who are working for Obama wants to defend his positions on ethanol subsidies, tariffs on Chinese goods, the Byrd amendment, etc., shoot me an email, and I will gladly post it for my blog readers. But I am not holding my breath. 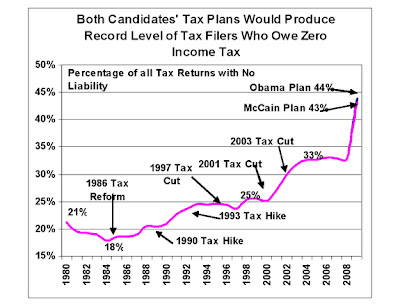 In a previous post, I compared the incentives offered to someone like me by the McCain and Obama tax plans. If you don't like the numbers I plugged in, Political Calculations provides an easy-to-use program that lets you pick your own and check the robustness of my conclusions. From an analysis by economist Bob Carroll. I wanted to alert you to our paperback edition of Ben Bernanke's ESSAYS ON THE GREAT DEPRESSION. As the subprime mortgage and credit disasters continue to wreak havoc on world economies and pocketbooks, many are looking to Federal Reserve Chair Ben Bernanke for guidance and leadership in this tumultuous time. Fortunately, our Fed chief is one of the pre-eminent scholars of the Great Depression. Because of the market turmoil, Bernanke's treatment of the Great Depression has been finding a new audience of readers as media, policymakers, businessmen, professionals, and others--both in the US and abroad--seek to understand our present economic situation. I wonder how the economy would be doing if the Fed chairman were author of Dow 36,000. The crisis has also reminded us of the lessons of the technology bubble, Japan’s experience in the 1990s and of the US Great Depression – that finance-led growth is problematic. The wealth and income gains from the easy availability of credit were highly concentrated in the hands of a fortunate few. The benefits also proved temporary. In retrospect, the fact that 40 per cent of American corporate profits in 2006 went to the financial sector, and the closely related outcome – a doubling of the share of income going to the top 1 per cent of the population – should have been signs something was amiss. A corollary: Remember that "problem" of an increasing share of income going to the superrich? Most likely, it has been solved. Here is a question that you may have been thinking about: How do the different candidates' tax plans affect Greg Mankiw's incentive to work? Okay, you probably haven't been thinking about this. But I have, because, after all, I am Greg Mankiw. And if you are here reading my blog, maybe you have some interest in the random thoughts running through my brain. So bear with me. Let me start with my personal situation: I am a pretty lucky guy. I have a comfortable, upper middle class life style that includes one house, two cars, three kids, a wife, and a dog. I am fortunate enough that I don't have trouble keeping that going. I am also fortunate enough that I don't crave much more than I already have. I don't particularly want to own multiple houses or drive a Ferrari or wear Armani suits. You might say that I am close to being sated. On a regular basis, I am offered opportunities to make some extra money. It could be giving a talk, writing an article, editing a journal, and so on. What incentive is there to put forward that extra work effort? 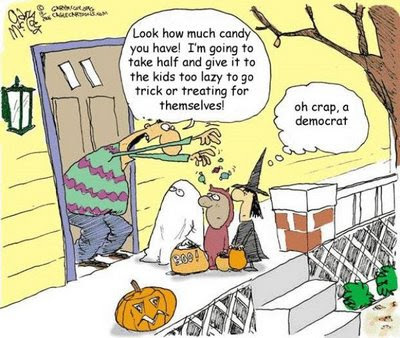 To a large extent, the beneficiaries of that extra effort are my kids. My lifestyle is, as a first approximation, invariant to my income. But if I make an extra few dollars today, I will leave more to my kids when I move on. I won't leave them enough so they can lead lives of leisure, but perhaps I will leave them enough so they won't have to struggle too much to afford a downpayment on their houses or to send their own kids to college. Let me try to put each tax plan into a single number. 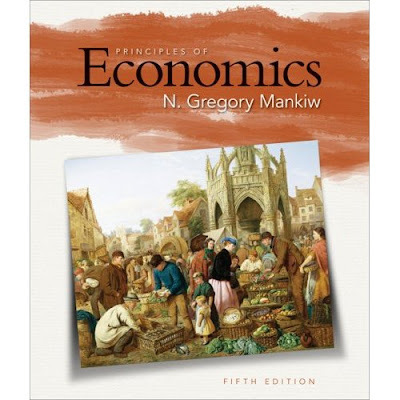 Let's suppose Greg Mankiw takes on an incremental job today and earns a dollar. How much, as a result, will he leave his kids in T years? The answer depends on four tax rates. First, I pay the combined income and payroll tax on the dollar earned. Second, I pay the corporate tax rate while the money is invested in a firm. Third, I pay the dividend and capital gains rate as I receive that return. And fourth, I pay the estate tax when I leave what has accumulated to my kids. For my illustrative calculations, let me take r to be 10 percent and my remaining life expectancy T to be 35 years. If there were no taxes, so t1=t2=t3=t4=0, then $1 earned today would yield my kids $28. That is simply the miracle of compounding. Under the McCain plan, t1=.35, t2=.25, t3=.15, and t4=.15. In this case, a dollar earned today yields my kids $4.81. That is, even under the low-tax McCain plan, my incentive to work is cut by 83 percent compared to the situation without taxes. Under the Obama plan, t1=.43, t2=.35, t3=.2, and t4=.45. In this case, a dollar earned today yields my kids $1.85. That is, Obama's proposed tax hikes reduce my incentive to work by 62 percent compared to the McCain plan and by 93 percent compared to the no-tax scenario. In a sense, putting the various pieces of the tax system together, I would be facing a marginal tax rate of 93 percent. The bottom line: If you are one of those people out there trying to induce me to do some work for you, there is a good chance I will turn you down. And the likelihood will go up after President Obama puts his tax plan in place. I expect to spend more time playing with my kids. They will be poorer when they grow up, but perhaps they will have a few more happy memories. My article in tomorrow's NY Times. My fellow economists, have you ever engaged in one of these activities? Building models one does not really believe to be useful or relevant. Making simplifications that obscure or omit important things. Using data one does not really believe in. Focusing on the statistical significance of one’s findings while quietly doubting economic significance. Drawing “policy implications” that one knows are inappropriate or misleading. Keeping the discourse “between the 40 yard lines” so as to avoid being outspoken; knowingly eliding fundamental issues. Tilting the flavor of policy judgments to make a paper more acceptable to referees, editors, publishers, or funders. Disguising one’s methodological or ideological views, such as by omitting revealing activities or publications from one’s vitae. For government, institute, or corporate economists: Having to significantly play along with things one does not believe in. If so, you now have an opportunity to make a full confession. In a conversation with "Joe the plumber" about his tax plan, Obama said "when you spread the wealth around it's good for everybody." Americans are evenly divided on the idea: 45 percent think it is a good idea and 46 percent a bad idea to use some of the money government collects in taxes to "spread the wealth" to others who are less well off. Most Democrats think spreading the wealth is a good idea (66 percent) and most Republicans think it is a bad idea (72 percent). Thanks to Craig Newmark for the pointer. Political advice from The Economist. 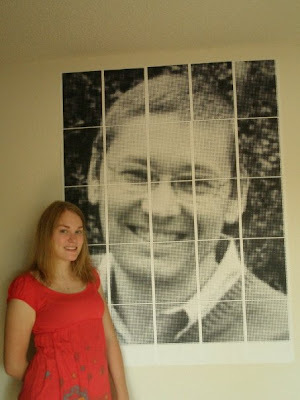 Above, the newest decorating fad, and a fan club for this blog. My Harvard colleagues David Scharfstein and Jeremy Stein opine on Secretary Paulson's latest move. Answer: Fewer and fewer people. 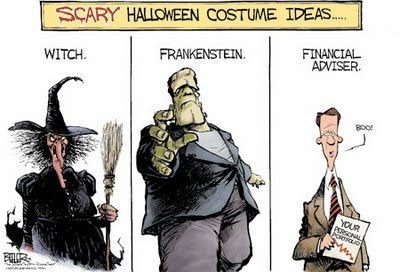 From the Tax Foundation via Economix. Seeking to explain why he is backtracking on a campaign promise to cut taxes for the middle class, President-elect Bill Clinton said Thursday that the plan was never a major theme in his race for the White House. Mr. Clinton, speaking at a news conference a day after saying he would have to "revisit" his tax-cut plan, said Americans voted for him because of the "big things" he wanted to do. The middle-class tax cut, he said, was not among them. He said he was "absolutely mystified" that the news media had perceived it as a major pledge. In interviews Wednesday, Mr. Clinton said that, because of worsening deficit projections, "I have to put everything back on the table." Mr. Clinton spoke throughout the campaign of the need to redress declining middle-class incomes during the 1980s. He proposed a tax cut for the middle class nearly a year ago, in New Hampshire, and repeated the pledge frequently. But in the weeks since his election, two things have changed. The government's estimate of growth of the federal budget deficit over the next five years has grown about $60 billion. Also, the new team of Clinton economic advisers has apparently made new calculations and concluded that the tax cut idea is not tenable if Mr. Clinton wants to reduce the deficit and also move ahead with an "investment" program to revive the economy. when first applied to financial matters in 1976, “subprime” meant a loan offered below the prime rate and typically was offered only to the most desirable borrowers. It does not matter which side of a market you tax. A tax on buyers is the same as a tax on sellers. In particular, a tax on employers is equivalent to a tax on employees. Because labor demand tends to be more elastic than labor supply, a payroll tax falls largely on employees. Now consider the Obama health plan. A major element of the plan is an extra payroll tax on firms that do not give their workers health insurance. By the basic theory of tax incidence, this is equivalent to a tax on workers without insurance. In other words, the Obama plan is much the same as imposing a health insurance mandate, backed up by the penalty of a tax surcharge on your earnings if you fail to have coverage. One difference: If an individual buys his own health policy, rather than getting it through his employer, he still pays the tax. That is, the Obama policy continues, even reinforces, a strong policy-induced preference for employer-provided over individually-purchased health insurance. Update: Some readers interpreted the above description as a criticism. Not so! Note that the above post is entirely positive, not normative. I was merely explaining what the Obama plan does. Is there a good rationale for taxing the uninsured? Perhaps. If an uninsured person can get free health care at an emergency room, passing the cost to others, then lack of insurance entails a negative externality. One can therefore make a Pigovian case for taxing the uninsured. This Pigovian argument, however, would not point toward an earnings-based corrective tax, as Obama proposes. A high-earnings uninsured person does not impose more externalities than a low-earnings uninsured person. Indeed, if the former is more likely to pay his own medical bills, just the opposite is the case. Health insurance is not something that is made better by tying it to employment. As a result, essentially all economists believe that universal coverage should be done outside of employment. I agree with David. Note that the Furman-McCain plan moves toward a level playing field. Update 2: Jeff Jacoby weighs in. Wisdom from Anna Schwartz, the great monetary historian. Click through to read her view of recent policy from the Fed and Treasury. What's so great about small business? Obama is confident that we can come together to find a workable solution. He believes that one strong option to improve Social Security's long-term solvency is asking people who earn more than $250,000 to pay a little more into the system. But Obama will not raise the retirement age or reduce Social Security benefits. That is, it sounds like Senator Obama wants to close the projected gap between taxes and spending entirely by raising taxes. N.B. : Most economists favor raising the retirement age. you might ask Jason Furman if Obama is really going to "ask" people who earn more than $250,000 to pay a little more into the system, or is he going to "tell" them to pay? There's a big mathematical hole in Sen. Obama's plans for Social Security. While Obama is vague about the exact tax rate he would apply to people earning over $250,000 and whether they would receive extra benefits in exchange for the new taxes, a best-case scenario is that Obama's plan would fix around 15% of the long-term deficit, adding 3-5 years to the life of the trust fund. He's ruled out cutting benefits or increasing the retirement age, which could otherwise fill the rest of the gap, so it's not clear where the other 85% of the fix comes from. Sen. Obama has put himself in a bit of a box, which is perhaps the best rationale for a post-election commission -- it lets both sides forget about their previous campaign promises. My article in the Wellesley Townsman about the new high school. In the midst of all the extraordinary asset price movements we have seen of late, here are two that particularly stand out. The VIX index, which measures expected stock market volatility, remains near all-time highs. So does the probability at Intrade that Obama will be the next president, which now stands at 85 percent. Is the apparent comovement in these two series a coincidence? Probably not. 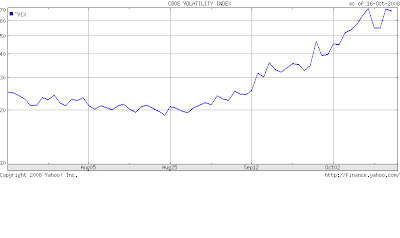 All the recent bad news about the economy has been good news for investors who are long volatility or long Obama. Who wins the rich vote? More than three quarters of those worth $1 million to $10 million plan to vote for Sen. McCain. Only 15% plan to vote for Sen. Obama (the rest are undecided). Of those worth more than $30 million, two-thirds support Sen. Obama, while one third support Sen. McCain. the theme of this campaign: if it sounds good, say it regardless if it's misleading (or not true). Click through the above link for details. Who has the better health plan? Sen. Obama's plan would require large employers to either offer insurance or contribute a percentage of the company's payroll toward the cost of taxpayer subsidies....Sen. Obama also plans tax credits to encourage small businesses to offer insurance....Sen. Obama hasn't said where he would mark the line between the large employers who would be punished for not offering insurance and the small ones who would be rewarded if they do. Is there a good rationale for this strongly asymmetric treatment of small and large firms? I cannot see it. 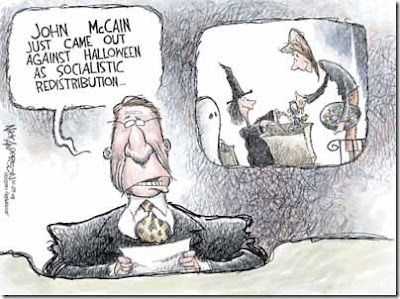 From my perspective, the Furman-McCain plan makes a lot more sense. How do you react to this news story? "Your new tax plan is going to tax me more, isn't it?" the plumber asked [Senator Obama], complaining that he was being taxed "more and more for fulfilling the American dream." This exchange with "Joe the plumber" was discussed in last night's presidential debate. My sense is that most liberals will instinctively agree with Senator Obama here. The last sentence, which I put in bold, is as good a summary of the Rawlsian notion of distributive justice as you are likely to find from a major political candidate. The term "distributive justice" is not a neutral one. Hearing the term "distribution," most people presume that some thing or mechanism uses some principle or criterion to give out a supply of things. Into this process of distributing shares some error may have crept. So it is an open question, at least, whether redistribution should take place; whether we should do again what has already been done once, though poorly. However, we are not in the position of children who have been given portions of pie by someone who now makes last minute adjustments to rectify careless cutting. There is no central distribution, no person or group entitled to control all the resources, jointly deciding how they are to be doled out. What each person gets, he gets from others who give to him in exchange for something, or as a gift. In a free society, diverse persons control different resources, and new holdings arise out of the voluntary exchanges and actions of persons. There is no more a distributing or distribution of shares than there is a distributing of mates in a society in which persons choose whom they shall marry. The total result is the product of many individual decisions which the different individuals involved are entitled to make. The current election is in part a referendum on Rawls versus Nozick. A reader asks me what I think about this graphic from the NY Times, which purports to show that the stock market does better when a Democrat is in the White House. My interpretation: It is meaningless. I can imagine good reasons for being a Democrat (see this link), but stock market returns are not one of them. First of all, the stock market is hardly a barometer of economic well-being. Second, as David Backus wisely points out, the President's policies are only a small part of what drives the economy. Third, it is nearly impossible to get the timing right to do this kind of comparison. Let me explain this last point. According to the efficient markets hypothesis, financial markets are forward-looking. If so, you would expect the entire impact of a candidate's election on the market to occur on election day, or maybe even during the days leading up to the election, as the market learns about the party of the next administration. By the time the new President takes office, the news has been fully priced in, and it will not show up in returns during his term. But suppose you thought that stock investors were not forward-looking, or did not understand the differences between the parties. If so, the stock market would respond to economic events only as they unfold. In that case, you would have to wonder whether the timing is off in the other direction. Does the President influence the direction of the economy from the first day he takes office? Do the effects of his policies disappear the day after he leaves office? Of course not. Policy influences the economy with long and variable lags. The bottom line: Trying to isolate the differences between the parties using this kind of stock market data is silly at best. Suppose what New York Times finds is econometrically correct. They might have just found another risk factor for abnormal returns. Democrats sitting in the White House do bring about more risks in stock holdings. Therefore, investors demand higher return to compensate for extra risks they are bearing. Robert Shiller, professor of finance at Yale University and chief economist for MacroMarkets LLC, tracks what he calls the "Graham P/E," a measure of market valuation he adapted from an observation Graham made many years ago. The Graham P/E divides the price of major U.S. stocks by their net earnings averaged over the past 10 years, adjusted for inflation. After this week's bloodbath, the Standard & Poor's 500-stock index is priced at 15 times earnings by the Graham-Shiller measure. That is a 25% decline since Sept. 30 alone. The Graham P/E has not been this low since January 1989; the long-term average in Prof. Shiller's database, which goes back to 1881, is 16.3 times earnings. But when the stock market moves away from historical norms, it tends to overshoot. The modern low on the Graham P/E was 6.6 in July and August of 1982, and it has sunk below 10 for several long stretches since World War II -- most recently, from 1977 through 1984. It would take a bottom of about 600 on the S&P 500 to take the current Graham P/E down to 10. That's roughly a 30% drop from last week's levels; an equivalent drop would take the Dow below 6000. Actually, somewhat to my surprise in light of all the financial turmoil, we are not seeing a large spike in currency holdings. (Click here to see the data.) There was a large spike at the end of 1999, when many people feared that banks might be paralyzed by the Y2K problem, but nothing like that more recently. Update: A reader alerts me to this news story from the U.K.: "Sales of household safes have surged as wealthy savers concerned about the health of banks opt to keep cash at home. " This year's Nobel Prize in economics goes to Paul Krugman. Here is a description of the contributions for which he is justly lauded today. To learn more about the newest laureate, you can read an analysis of Paul's research contributions and an analysis of his op-ed pieces. Update: Justin Fox of Time Magazine says I predicted this prize back in 1999. I don't recall that precise conversation with Justin, but I am sure he is right. It was not a hard forecast to make. No one knowledgable about developments in the theory of international trade could have doubted that Paul was on the short list. 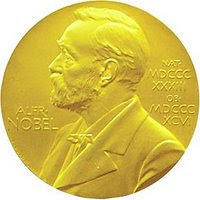 The timing, of course, was impossible to predict, and I am a bit surprised that the Nobel committee did not award the prize jointly with some other economists who worked along similar lines. But the prize itself was an easy call. Update 2: The prize induces Businessweek's Michael Mandel to reflect that Paul is not, as Mike once accused him, an "enemy of growth." A list recently released by the McCain campaign. It includes five Harvard professors. Some blog readers may ask, why didn't I sign? I am not particularly fond of Obama's proposed tax hikes or his apparent retreat from free trade. (See this article of mine.) But I thought the statement in the group letter that "his proposals run a high risk of throwing the economy into a deep recession" was a tad too hyperbolic for my tastes. Update: A reader alerts me to a longer list of pro-McCain, anti-Obama economists here. Trivia fact: Larry and I are old friends. We are both from the Princeton class of 1980, along with Danny Quah (now econ prof at LSE), Jim Rauch (now econ prof at UCSD), and David Romer (now econ prof at UC Berkeley). A bumper crop, if I say so myself. The fifth edition of my principles text is now rolling off the presses, ready for spring-term classes. Why a new edition? The fundamentals of economics are much the same: Supply curves still slope up, and demand curves still slope down. But a lot has changed over the past three years, and the new edition covers recent developments in economic research, events, and policy. In particular, it includes over 40 new applications, including Case Studies and In the News boxes, to remind students that economics is about the world in which they live. If you are interested in learning more about the book, check out the publisher's website. Or you can buy it at Amazon.com. If you are a professor eligible for a free examination copy to consider for your classes, or if you have any other questions, the person at the publisher to contact is Brian Joyner. His email is Brian.Joyner@cengage.com. Says Justin Lahart of the Wall Street Journal. The reason for this sharing of the benefits is twofold. On the one hand, it makes the renegotiation less appealing to the homeowners, making it unattractive to those not in need of it. For example, homeowners with a very large equity in their house (who do not need any restructuring because they are not at risk of default) will find it very costly to use this option because they will have to give up 50% of the value of their equity. Second, it reduces the cost of renegotiation for the lending institutions, which minimizes the problems in the financial system. Robert Barro has emerged in the Harvard Nobel Pool with 16.2% of all bets. However, the triumvirate of Hansen, Sargent and Sims, who many believe would be chosen together, has garnered nearly 23% of the vote and is the most likely prize, especially when one controls for home bias. Top vote getters as of now are below, although entries can be submitted until Sunday. LONDON (Reuters) - Great scenery and wildlife but financial situation in need of repair -- collect in person. Iceland, which is going cap in hand to Russia for a 4 billion euro loan to bail out its failed banks, was offered for sale as a wholesale lot on eBay on Friday. Bidding started at 99 pence but had reached 10 million pounds by mid-morning on Friday. Globally renowned singer Bjork was "not included" in the sale, according to the notice. Rumor has it there is a bidder waiting in the wings with $700 billion in his wallet. What makes a recession officially turn into a depression? A recession is when your neighbor loses his job. A depression is when you lose yours. There is broad agreement among economists that what the financial system needs right now is not only an injection of liquidity but also a recapitalization. The essence of the current financial crisis is that many firms bet that housing prices would not fall; the prices fell nonetheless; and now these firms have too little capital to perform the crucial function of financial intermediation. The question for the moment is, How can we get capital back into the financial system? Ideally, it would be great if more Warren Buffetts would step up to the plate and recapitalize financial firms with private money. Unfortunately, that might not happen fast enough to prevent a major economic downturn. Other economists have suggested that the government inject capital itself. That raises several questions. First, which firms? The government does not want to put taxpayer money into “zombie” firms that are in fact deeply insolvent but have not yet recognized it. Second, at what price should the government buy in? Third, isn’t this, kind of, like socialism? That is, do we really want the government to start playing a large, continuing role running Wall Street and allocating capital resources? I certainly don't. Here is an idea that might deal with these problems: The government can stand ready to be a silent partner to future Warren Buffetts. It could work as follows. Whenever any financial institution attracts new private capital in an arms-length transaction, it can access an equal amount of public capital. The taxpayer would get the same terms as the private investor. The only difference is that government’s shares would be nonvoting until the government sold the shares at a later date. This plan would solve the three problems. The private sector rather than the government would weed out the zombie firms. The private sector rather than the government would set the price. And the private sector rather than the government would exercise corporate control. Why would an undercapitalized financial firm take advantage of this offer? Because it would need to raise only half as much capital from private sources, that financing should be easier to come by. With Warren Buffetts in scarce supply, the government can in effect replicate them, by pigging backing on what they do. I believe that Treasury has the discretion to use some of the $700 billion recently approved by Congress to make these equity injections. I would recommend that the Treasury announce an upper limit, say, $300 billion, allocated on a first-come, first-served basis. The limit would encourage financial institutions to act quickly to get in before the door closed. Given how fast matters are deteriorating, the sooner capital gets back into the financial system, the better. There are many historical precedents of bad policies following crises. The worst case was after the stock-market crash in October 1929, which produced a truly perfect storm of bad policies. Tax rates rose, tariffs rose (reflecting special interest groups attempting to insulate domestic producers from foreign competition), and both Presidents Herbert Hoover and Franklin Roosevelt strongly promoted industry-labor cartels that were designed to stifle domestic competition. I am particularly concerned about bad policies because significantly higher taxes have been proposed by Barack Obama. His plan would raise the marginal tax rate on the most productive workers more than 10 percentage points -- an increase that would bring us near Western European levels. His plan would also raise capital income taxes, taxing capital gains and dividends at 20%, compared to a 15% rate under Sen. John McCain's plan. A five percentage-point difference might strike you as small, but it is not. I have calculated that a five percentage-point difference in overall capital income taxation over the long haul is equal to a difference in the nation's capital stock of about 18%. This means a 6% difference in GDP and a 6% difference in the average wage rate. This means that real GDP and the average wage would fall, gradually but persistently declining about 6% after 25 years. That's not quite a Great Depression, but a significant step towards one. What should be done? We should encourage the immigration of prime-age individuals. Beginning in 2007, net immigration fell to half of its level over the previous five years. Increasing immigration would increase the demand for housing and raise home prices. And note that the benefit would be immediate. Home prices -- and the value of subprime obligations -- would rise in anticipation of a higher population base. The U.S. particularly needs highly skilled workers. These workers not only would purchase homes, but would generate higher living standards for all Americans. If you enjoyed this explanation, you will appreciate previous attempts to make sense of recent developments here and here. 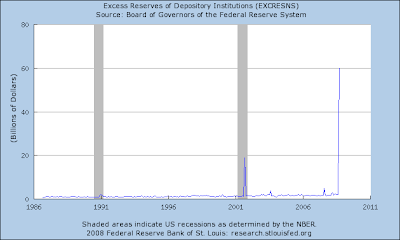 For teachers of basic economics: a good resource about the Federal Reserve. PinnacleSports gives the current odds on some possible winners of the Nobel Prize in economics. Among the economists they have listed, Martin Feldstein is the favorite. Update: You can also find odds at Ladbrokes, where Eugene Fama is the favorite. Andrew Biggs and Kent Smetters discuss tax fairness. Joe Stiglitz, Glenn Hubbard, and Myron Scholes propose questions for tonight's presidential debate. Gary Becker considers whether we're about to have another Great Depression. The very wise Paul Romer suggests that the key divide among economists today is between fundamentalists and realists. A quick look through the lists of economists who signed the various letters shows that the camps do not separate cleanly along the familiar lines of left-versus-right or active-versus-limited government. The key difference lies in the relative weight each side gives to formal models as opposed to judgment. Fundamentalists have an unswerving faith in models. Policies should always be derived from the best available model. Data should be filtered through a model. If an observation does not fit within the context of a model, it should be excluded from consideration. Realists are more conscious of the limits of models and more comfortable with a division of labor between the researcher who improves the models and the clinician who makes policy decisions. They recognize that the power of models comes precisely from a commitment to abstraction that filters out potentially important complexity. They believe that useful evidence can accumulate with direct experience as well as through the research process of testing and refining models. They believe that researchers should consider the possibility that the fault lies with the model when its predictions diverge from clinical judgment and that policies should draw on both sources of evidence. Many times, the confidence fundamentalists have had in abstract models turned out to be well founded and the objections raised by realists who were more focused on details were misplaced. The fundamentalists were right that an airline industry could still function even if airlines could set their own fares; that people could still talk to each other even if they purchased phone service from different companies. The realists pointed to all the complicated details that arise in such markets, details that simple models could not capture. Fundamentalists, correctly, ignored the detail and pushed prescriptions based on the textbook model of competition. Other times, the models are missing something that is too important. In the study of macroeconomic fluctuations, real business cycle theorists and their descendants, the dynamic stochastic general equilibrium modelers, are the quintessential fundamentalists. Their models are a useful way to make research progress, but in macroeconomic policy making, the great depression, which these models cannot explain, is a decisive data point warning us that the models are incomplete and have to be supplemented by clinical judgment. Thanks to Mark Thoma for the pointer. Last weekend at the Dupont Circle farmers' market here in DC, I saw a strain of heirloom tomato named "Mortgage Lifter". The Mortgage Lifter tomato was developed in the early 1930's in Logan, West Virginia by a radiator repairman, M.C. "Radiator Charlie" Byles. Without any experience in breeding, he made a successful cross of four of the largest tomatoes he could find - German Johnson, Beefsteak, an Italian variety, and an English variety. Radiator Charlie sold the first seedlings of his new tomato in the 1940's for one dollar each to customers who drove up to 200 miles for his famous plants that bore tasty tomatoes averaging two and a half pounds. With these sales, Charlie managed to pay off his $6,000 mortgage in only six years, and so the tomato was named Mortgage Lifter. Update: NBC has edited the skit from the original broadcast. There may be a good story about why it disappeared from the NBC website for a while before reappearing in edited form. But you can see the original here. There's a curious but robust feature of US presidential elections: when the economy isn't doing well, the incumbent party usually loses.It doesn't matter which party is in power, they usually lose. You can see that now in the online odds for McCain, which have dropped a lot as bad news comes out about the economy. 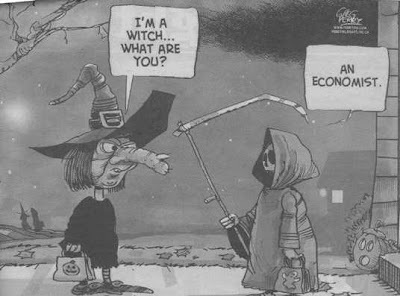 You can talk all you want about other things, but the economy is likely the primary driver here. The reason I say "curious" is that there's very little evidence that presidents (or the government more generally) have much impact on the current state of the economy. They can influence long-term performance, but in the short term, the US economy, and others, go through periodic ups and downs that we call business cycles. That was true 200 years ago and remains true today. There's some debate about where business cycles come from, but the president's actions are rarely on the list. Nevertheless, it's become good strategy to claim credit for good news and blame the other guys for bad news -- even though neither is likely. Related link: the idea comes from a series of papers by Yale economist Ray Fair. A nice summary is his 1996 piece. The NY Times reads the new book by my Harvard colleagues Claudia Goldin and Larry Katz. Here's one possible answer -- the credit crunch has precipitated a massive expansion of money demand -- a scramble for cash. 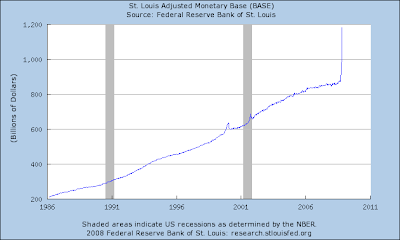 Despite its best efforts, the Fed has not matched this with a sufficient expansion of money supply. As simple IS-LM would predict, this surge in money demand has raised real interest rates (indicating that monetary policy is perhaps still too tight). Rising real rates on inflation-indexed bonds and falling rates on nominal bonds also tell us that markets expect this surge in money demand to result in near-zero inflation or even deflation in the years ahead. It's starting to look more and more like 1990s Japan, though hopefully for not as long. The principal is adjusted downward, and your interest payments are less than they would be if inflation occurred or if the Consumer Price Index remained the same. You have this safeguard: at maturity, if the adjusted principal is less than the security's original principal, you are paid the original principal. That is, in a period of substantial inflation uncertainty (e.g., now), TIPS are an attractive bet. 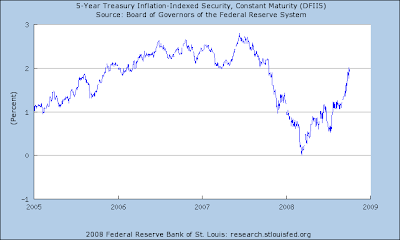 You get inflation protection if prices rise, but you get your full nominal principal back at maturity if prices fall. My guess is that Tyler Cowen is on the right track when he suggests that the answer to the puzzle involves credit market segmentation of some sort. Even though the Palins ($294,000) earned only about half the income of the Bidens ($569,000) in 2006 and 2007 combined, the Palins gave almost 6 times as much to charity ($8,205) in those two years as the Bidens ($1,375). My sense is that the Washington economics establishment (that is, Paulson and Bernanke and the teams they lead) is losing the intellectual debate. Many, perhaps most, serious thinkers about financial matters are opposed to, or at least skeptical of, the plans the Treasury and Fed are pursuing. One reason they are losing the debate is that they are not fully engaged in it. There appears to be a sense in Treasury and the Fed that they needed to convince Congress, which could be done behind closed doors, and that there was no need to address the legions of economics professors out there. Maybe they were right as a short-term political tactic. But as a longer-term strategy, the case for this new Washington consensus needs to be made. The general public is largely opposed to recent moves to rescue the financial system. If Washington crowd cannot bring along the intellectual elite as a first step toward convincing a broader audience, they will end up pretty much alone, which does not seem sustainable. As of now, it seems as if they have not even bothered to try. To get a sense of this problem, I went back to the Fed website and asked this question: How many speeches were given by Federal Reserve officials in September? The answer is three. Only one by Chairman Bernanke. The topic: "Remarks on historically black colleges and universities." Ben did address the current financial crisis in his Congressional testimony, but that testimony did not offer the kind of meaty analysis that could start to sway serious skeptics. Ben Bernanke has tremendous credibility among economists of all political stripes. He may be a conservative Republican appointed by President Bush, but even left-leaning, Bush-hating Democrats like Paul Krugman respect him. If the case for the new Washington consensus is going to be made in an intellectually serious way, Ben is the person who has to do it. In the past, Ben has given some terrific speeches that were both deep and lucid. It is time to do it again. I hope somewhere in the Federal Reserve System, the best staffers are drafting a speech for him that eschews the platitudes common in Washington speechifying and makes a serious, academic case for the path the Washington establishment has taken us down. If Ben is looking for a forum to give it, I am sure I can arrange something at his alma mater. Maybe a guest lecture in ec 10. Update: I reader alerts me to the fact that Ben is scheduled to talk to the National Association of Business Economists on Tuesday. We will have to wait and see if the speech provides the intellectual support for the Treasury/Fed rescue plan. We have been learning about elasticity in ec 10. One of the students emails me this clip from The Wire (a great TV show, by the way) on the concept. For those who have not seen the show, the main character in the clip, Stringer Bell, runs a drug operation but wants to go legit and has an apparent interest in economics. The person spying on Bell is Jimmy McNulty, a police officer who in a later episode finds a copy of Adam Smith's Wealth of Nations in Stringer's apartment. Why are real interest rates rising? One might have thought that widespread fear in financial markets would cause a flight to quality, driving the price of safe assets up and their yields down. That certainly has been happening with short-term Treasury bills. But look above to see what's been happening to the yield on 5-year inflation-adjusted government bonds. (Click on the graph to enlarge.) If one wants to flee risky assets and invest safely, for many investors these securities are a pretty good place to be. But their yields, rather than falling, have been rising sharply of late. It's a puzzle. "I've won quite a lot of academic awards; I can't think of one that makes me happier than this one," said Dan Ariely, a Duke University economist and author of the book "Predictably Irrational: The Hidden Forces that Shape our Decisions," who said his deserving work has been passed over year after year. Ariely's Ig Nobel-winning work demonstrates the secret behind many of his fellow laureates: That hidden in the humorous work is a legitimate scientific point. Ariely recruited volunteers for a study and printed brochures describing an invented painkiller that was actually just a placebo. Some were told the drug was expensive; others were told it was cheap. The subjects were given electric shocks before and after they took the pill. Those who got the pricey fake medicine reported a bigger reduction in pain than those with the cheaper fake. Ariely's experiment, which appeared in the Journal of the American Medical Association, suggested that price and marketing of a drug may play a role in its effects. The Economist magazine asks its readers around the world to vote for President. Update: It also polls economists. Click on the graphic to enlarge. Thanks to the reader who sent this in. Yesterday, I proposed a new metric for computing the average marginal tax rate. Standard theory says that the deadweight loss of taxation rises approximately with the square of the tax rate. That is, increasing a tax rate by one percentage point reduces welfare by more if the tax rate is already high than if it is low. To take this fact into account when computing the average marginal tax rate under alternative tax plans, I proposed quadratic averaging: Compute the square root of the average squared marginal tax rate. For example, look at the results for 2012. Under current law, the Bush tax cuts will expire, and the average marginal tax rate, calculated using my quadratic averaging, will be 28.7 percent. If the Bush tax cuts are extended, the average marginal tax rate will be 25.5 percent. The McCain plan would keep the average marginal tax rate at about this level (25.3 percent), while the Obama plan would raise the average marginal tax rate to 28.0 percent.